"IF YOU WILL MAINTAIN YOUR UNINTERRUPTED HARMONY, JUST KEEP CALLING MY COSMIC FLAME OF COSMIC VICTORY AND THE COSMIC FLAME OF COSMIC VICTORY FROM EVERY ASCENDED MASTER AND COSMIC BEING TO INTENSIFY! KEEP CALLING IT FORTH IN AND AROUND YOURSELVES DAY AFTER DAY! "INCREASE IT, UNTIL THAT FLAME IS SO POWERFUL IN AND AROUND YOU, IT IS JUST LIKE BREATHING! THEN WHEREVER YOU GO, THERE WILL JUST AUTOMATICALLY BE ASCENDED MASTER VICTORY AWAITING YOU! WHEN THAT FLAME MOVES IN BEFORE YOU, OTHER PEOPLE COMING INTO IT, WILL UNDERSTAND IT IS THEIR DUTY TO CO-OPERATE WITH YOU, SO YOUR VICTORY IS COMPLETE! . . . "
". . . IF YOU COULD CLOSE OUT ALL CONSCIOUSNESS FROM YOUR MENTAL AND FEELING WORLD, WHICH WAS NOT OUR COSMIC FLAME OF COSMIC VICTORY, YOU WOULD BE ON THE INSTANT, THE FULFILLMENT OF EVERYTHING YOU CALLED FORTH IN THE RELEASE OF THE MANIFESTATION OF THE DIVINE PLAN FULFILLED!" 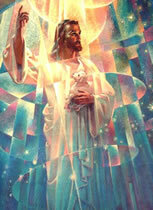 The Voice of The "I AM" is a monthly magazine containing original Ascended Master Instruction through which the Ascended Masters' Teachings can reach the Student of Light, that the most powerful work possible for America and the world may be given by the Students to release the greatest Light in the shortest time. 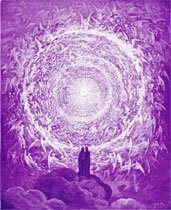 This book is a continuation of the experiences which Godfre Ray King had with the Ascended Master Saint Germain in Volume 1. 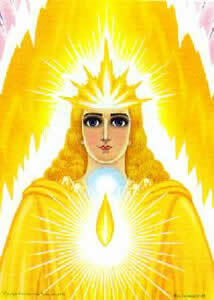 In The Magic Presence, Godfre applies the knowledge that he received from Saint Germain in Unveiled Mysteries. Includes the beautiful chapter titled "Divine Romance".